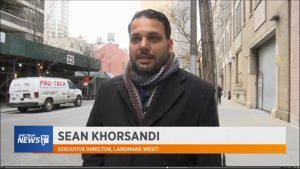 LANDMARK WEST!’s fight against supertall towers is making headlines. The developer is in a STICKY SITUATION, but we will be ready for their response. To help BURST THEIR BUBBLE, LW! Board Members DOUBLE your Donation, Read down! 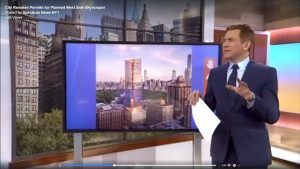 – The New York Times, Charles Bagli (1/18/2019) penned The Empire State Building May Soon Have Another Rival on the Skyline calling out LW! as discussed HERE. We fully expect a response from the developer, so we must DOUBLE DOWN. The LANDMARK WEST! board will DOUBLE individual donations for SUPERTALL ADVOCACY for the rest of the month, up to $10,000 so we can continue to curb out-sized development in residential neighborhoods. Please join us, and stay tuned to our fight HERE.